Poor old Geddy Lee. Just as the legendary bassist thought he was at least temporarily relieved of the task of talking about Rush, another gargantuan anniversary loomed over the horizon. Forty years have passed since the release of Hemispheres: not just one of Rush’s most widely beloved records, but arguably the one that most thrillingly encapsulates the progressive abandon of the Canadians’ first decade together. 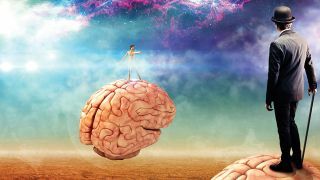 Recently reissued in ultra-lavish, multi-format form, Hemispheres certainly deserves a louder commemorative cheer than most, even though Lee remains sceptical about the need to mark every possible milestone. When it comes to Hemispheres, Lee is more than happy to regale Prog with the inside story. One of the most vociferously debated and lauded albums in Rush’s vast catalogue, these 36 minutes of explosive, pioneering prog are notorious for having pushed the three musicians to the limit of their abilities. In fact, Hemispheres is often cited as the album that nearly broke Rush for good. In truth, as Lee explains, as they arrived in the spring of 1978 after finishing a gruelling world tour in support of the hugely successful A Farewell To Kings, Rush were too full of ideas to contemplate taking a rest. Hemispheres is best known for its two magnificent bookends: the sprawling, joyously intricate title track and the instrumental, showboating blitzkrieg of La Villa Strangiato. But at a time when Rush were significant figures in the rock world and increasingly in demand on US rock radio, Hemispheres also managed to conjure two of the band’s most succinct and enduring songs. The sub-four-minute splendour of Circumstances, in particular, hinted strongly at another possible direction for these young masters to pursue, while giving them a much-needed break from the arduous longform songwriting process. “That song was one of the most fun that we were working on at that time, for sure,” Lee says. “We were surrounded by all that nature at Rockfield and it just made sense. There remains something wonderfully subversive about the thought of hearing The Trees nestling alongside More Than A Feeling and The Joker on US rock radio rotation, but Lee attributes the song’s enduring success to Neil Peart’s unerring ability to leave room for manoeuvre in Rush’s lyrical world. Take a quick straw poll of any random gaggle of Rush fans and it seems safe to say that La Villa Strangiato would come out on top of any list of favourite songs from Hemispheres (although, it has to be said, there are only four songs on it in the first place). Perhaps the ultimate showcase for the mind-bending musical chemistry between Lee, Lifeson and Peart, it has weathered 40 years impeccably and still sounds like what it truly is: the sound of three young, preternaturally gifted musicians showing off and being insanely, joyfully inventive in the process. Thinking back to Rockfield, Lee notes that the sense of utmost urgency we hear on Hemispheres’ closing track is the result of a lot of blood, sweat, tears and insanity. More than any other Rush song, La Villa Strangiato captures the wild energy that drove the band in their early days. You can almost hear them grinning as they switch moods and tempos on the head of a pin. Legend has it that they recorded more than 40 takes of La Villa Strangiato before nailing the final version. Is that close to the truth? Originally planned as a four-week excursion to Rockfield, the Hemispheres sessions steadily turned into a much lengthier mission for all concerned. Due to both the complex nature of the music and the efforts required to perform it properly and to various technical problems that slowed the recording process, Rush and co-producer Terry Brown found themselves running out of time, working around the clock to somehow piece this preposterous magnum opus together. Famously, Neil Peart introduced a gong into his percussive arsenal on Hemispheres. Meanwhile, Lee was experimenting with new effects pedals. Added to the intricacy of the songs themselves, is it any wonder that Rush struggled to get everything done in time? Another well-worn snippet of Rush mythology concludes that the band struggled during the Hemispheres sessions because they were deeply unhappy about the state of their living conditions at Rockfield. Again, Lee dismisses the idea, noting that they had been there before – to record A Farewell To Kings – and were more than aware of what to expect. With the four new songs committed to tape, Rush abandoned their Rockfield hideaway and headed for Advision Studios in London to add Lee’s final vocals. By this point, the band were perilously over-schedule and while they still felt hugely positive about the music they were making, the atmosphere in the studio was undeniably tense: not the ideal environment for hitting some of the highest notes that the frontman has ever attempted. Forty years on, those absurdly high notes have simply become a recognised part of Geddy Lee’s vocal repertoire. Looking back, however, he cites those sessions as an extremely educational moment in the band’s evolution as songwriters and album-makers. Can you still hit those notes, 40 years later? Hemispheres was released on October 29, 1978, resplendent in its none-more-prog artwork, courtesy of regular Rush collaborator Hugh Syme. Artfully capturing the album’s lyrical preoccupation with duelling sides of mind and spirit, the cover’s giant floating brains added an extra layer of intrigue and eccentricity to what was already the band’s most ambitious and thought-provoking record to date. Were you surprised by how well received it eventually was? A mere 15 months after the release of Hemispheres, Rush would casually redefine their entire sound, ushering in a new decade with the timely sheen of Permanent Waves. But while history may remember Hemispheres as a moment of transition, wherein Rush began to fully embrace music’s limitless potential, Geddy Lee remembers the album as an exhausting, if momentous, full-stop at the end of Rush’s rise to prominence. Nonetheless, for many, Hemispheres remains the ultimate Rush album: 36 minutes of jaw-dropping, no-holds-barred prog rock, conjured from nowhere and delivered with ageless, life-affirming enthusiasm. And that’s worth an exuberant anniversary in anyone’s book.